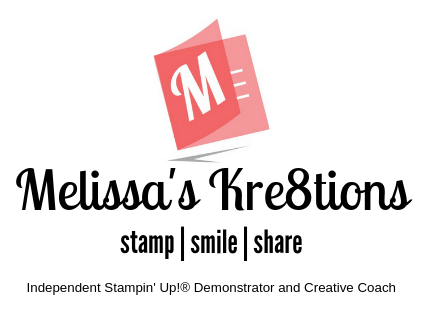 Hello Kre8tors and welcome back to the Paper Pumpkin Pop Up Blog Hop! Today I’m going to show you how I made some alternate cards using the supplies from the July 2018 Kit, Picnic Paradise. This fruit themed kit was so much fun to play with! It was definitely a challenge to come up with a fun alternate project, but I absolutely love how it turned out! Usually I try to stick to only the contents of the kit, but I also love to make cards, so I decided to add in a piece of Crumb Cake Cardstock to use as my card base. Check out the video below and be sure to click on the next button to hop along to the other awesome alternate projects! And don’t forget, you still have a couple days to take advantage of the Blooming Summer Savings Promotion! New Paper Pumpkin Subscribers can get 50% off their first kit! If you don’t already have a demonstrator, click the image above to sign up now or contact your demonstrator for more details! Click the pumpkin below to hop on over to Janey Backer’s blog to see her super cute alternate using this month’s kit! Welcome, Kre8tors, to the June 2018 Paper Pumpkin Pop Up Blog Hop! I’m so excited to share an alternate project from this month’s Paper Pumpkin Kit, Broadway Star. I absolutely adore the colors in this kit! Green, Pink, and Gold… what more could a girl ask for?! This alternate card was a lot of fun to put together, and it was so quick! I used the envelope for the card mat by cutting it down to 4″ x 5-1/4″. I also used an additional piece of Basic Black cardstock for the card base, cut to 5-1/2″ x 8-1/2″ and scored at 4-1/4″. For the main embellishment, I took one of the Broadway Billboards and put two cakes on it, along with some of the sticker candles. It would look super cute if you added a few pearls to the cakes! I stamped the Congrats sentiment in Lovely Lipstick, and then wrapped the bakers twine around the card mat twice and finished it off with a bow. I used a mini glue dot to hold the bow in place. And finally for the inside, I added one of the Whisper White banner stickers along with a Gold Foil Hooray sticker. I just love how it shines! I hope you enjoyed this alternate project today! Don’t forget to scroll down and watch my video tutorial for this card. Scroll all the way down to the pumpkin icon and click it to continue hopping with the rest of the demonstrators for this Paper Pumpkin Pop Up Blog Hop! You can sign up for Paper Pumpkin by visiting this link, or click on the Paper Pumpkin link in the sidebar. If your order is less than $150, use my current hostess code D2TE33R9 when you place your order to get a thank you card from me at the beginning of next month! Your support means a lot to me and helps me to continue doing what I love, which is making videos for you to enjoy. Click the pumpkin above to hop over to Sharon’s blog where she shares her adorable alternate project with us! One of my favorite things is when a project comes together from a flicker of an idea. This Stained Glass card was inspired by the January Paper Pumpkin Kit, Heartfelt Loves Notes. After putting all of the beautiful Valentines Cards together from this kit, I had a few pieces left over. Specifically the left overs from punching out all the labels. When I saw that piece, I immediately thought it would be perfect for a window! So I had to whip this beautiful card together. I used several pieces from the Paper Pumpkin Kit including the label negative piece, metallic edged ribbon, Rich Razzleberry Enamel Dots, a piece from the card bases included in the kit, and a stamp from the included stamp set. The stained glass was so much fun to make! I started by using some images from the Petal Palette stamp set and heat embossed them using Copper Stampin’ Emboss Powder on vellum. Then I layered it with the label negative piece. The Stampin’ Blends are perfect for coloring ribbon, like the included Metallic Edge Ribbon from January’s kit. It’s almost addicting how fun it is to color the ribbon with our blends! I just want to color the whole spool! This card was so much fun to put together, I think I may be using this technique quite often to build some truly inspiring cards! I love using bits and pieces from the Paper Pumpkin Kits to make alternate cards, like my Love Notes Sketch Card. Vellum: Cut to size depending on your stained glass frame. Go ahead and watch my video to see this beautiful card come to life! If you want to make one of your own, hopefully you are a Paper Pumpkin subscriber and have some extras out of this kit! If not, don’t worry! You can swap the stamps and label that I used for something different!